1. Heat a separate pan with sugar and water. Boil about 2-3 minutes the syrup thickens and becomes sticky. 2. 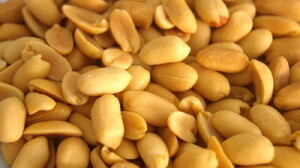 When white bubbles start to show from bottom, add roasted peanuts and stir constantly on low heat so that all nuts are coated. When sugar starts crystallized, turn off heat after 15-30 secs. 3. Pour it in a flat dish(I prefer on aluminum foil) and let it cool down. 4. 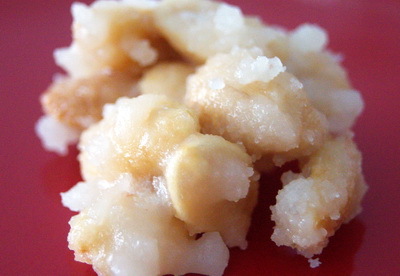 Enjoy Badam Bahar / Sugar Coated Peanut Slab as a snack.